It’s official, Puma have joined forces with brand new gym Metabolic London to offer free, yes free, classes to the public every Saturday 3-4pm. The announcement came last week and kicked off with their launch event on Saturday, where a selection of fitness fanatics (including myself) took to the Mornington Crescent based gym to be put through their paces by gym founder, Lawrence. Hackney may be well known for it’s crime, estates and emerging youth culture but the borough has more to offer than what meets the eye. Quickly becoming one of London’s most sought-after spots to live, the Love Your Body Health Hub is providing even more reason to love this infamous location. 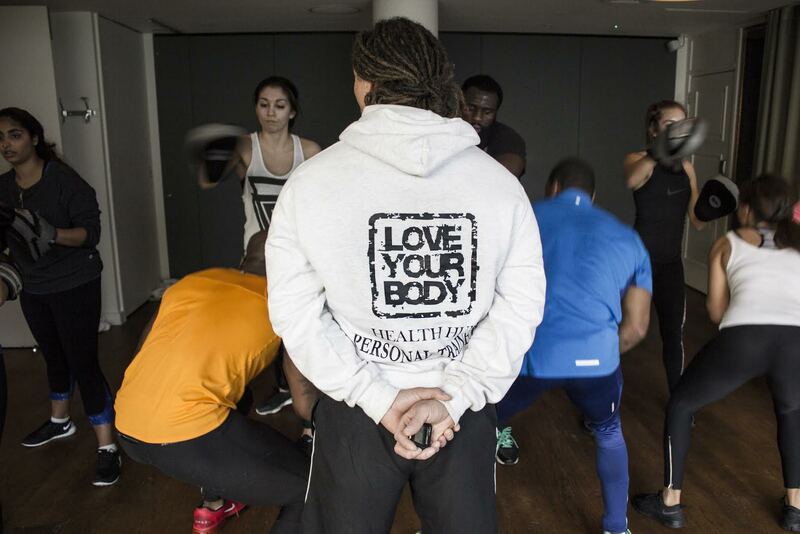 The Love Your Body team held an open day of free classes and I was quick to sign up. Participating in three consecutive sessions may sound like something that only a crazy person would do, but I was determined to get a taste for as much of the gym as possible. First up was the Inversion class. I wasn’t too sure what I was letting myself in for with this one, or with any of the classes for that matter, but it turned out that I was going to be involved in some very interesting yoga. Personally, I’m not the biggest yoga fan and tend to avoid it at all times possible. However, after the hour was up I was pleasantly surprised. From the usual downward dog position to headstands and handstands, I left the class feeling stretched and elongated, as well as my tummy aching slightly from all the giggling when first attempting the headstands. A good start to the day! Cave Man. Seriously a class like no other. If you want to test your limits and see your fitness reach new heights, this is the one for you. A combination of indoor exercise stations and outdoor sprinting; we spent two minutes working flat out indoors and then outside for two minutes of sprints, indoors again for the next station, then back out and so forth. The indoor activities ranged from box jumps to bar weights to rowing and ropes. A strangely enjoyable hell on earth, with heavenly body results!